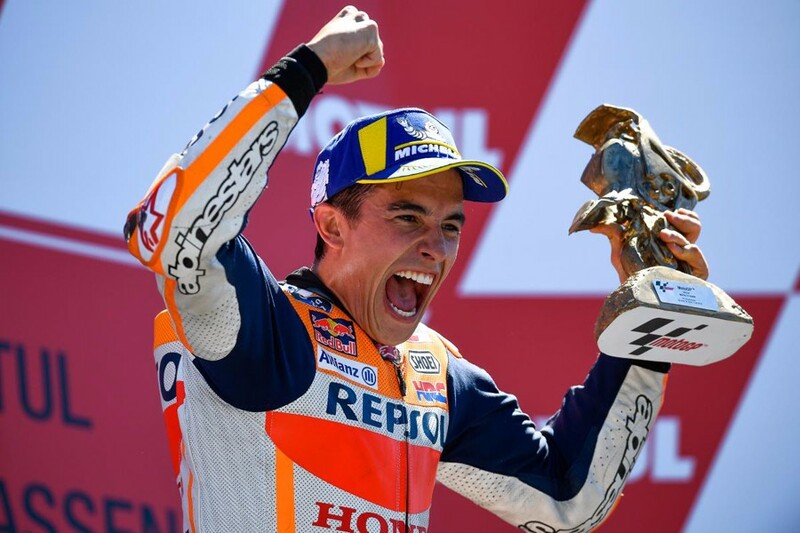 Motul TT Assen Grand Prix witnessed polesitter Marc Marquez (Repsol Honda) claimed his fourth victory of the MotoGP season in Dutch TT at Assen. 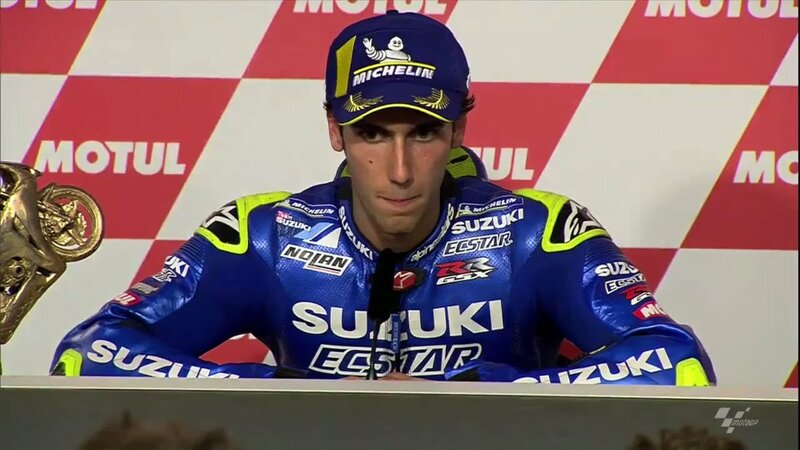 Alex Rins (Suzuki Ecstar) finished the second place and stood at first podium since Argentine GP. 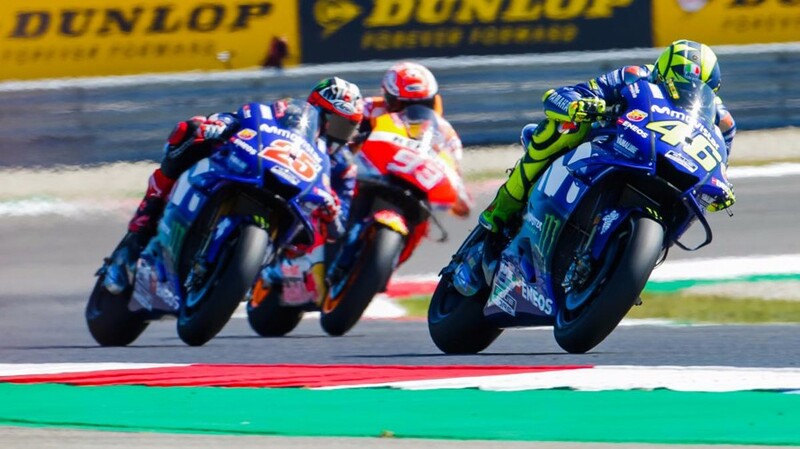 Maverick Vinales (Movistar Yamaha) was aloso the third place, his first podium since Austin GP. 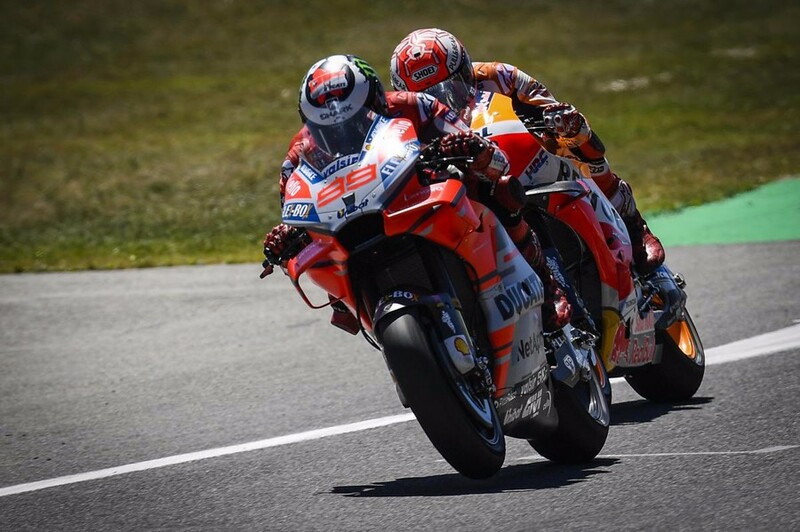 Jorge Lorenzo (Ducati Team) led the opening half of the race from 10th on the grid. 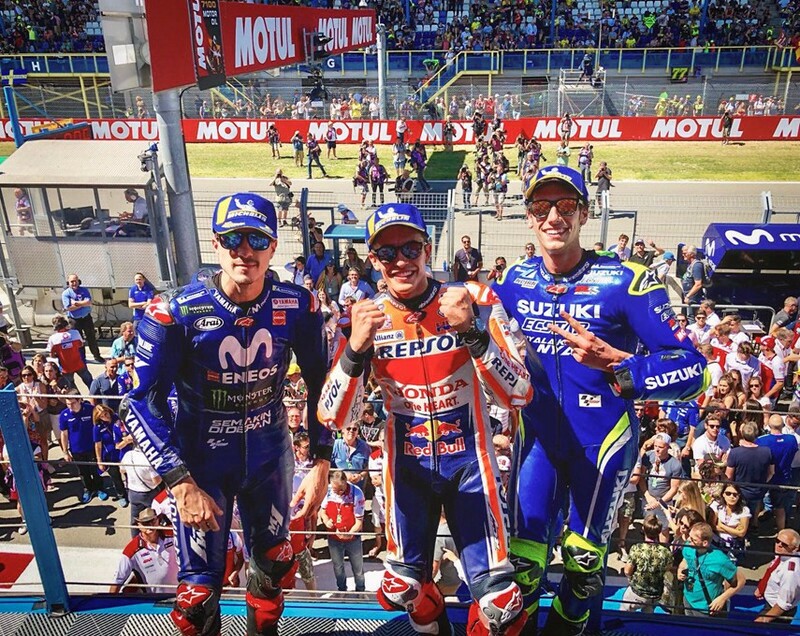 Marc Marquez, Valentino Rossi (Movistar Yamaha) and Andrea Dovizioso (Ducati Team) followed him. 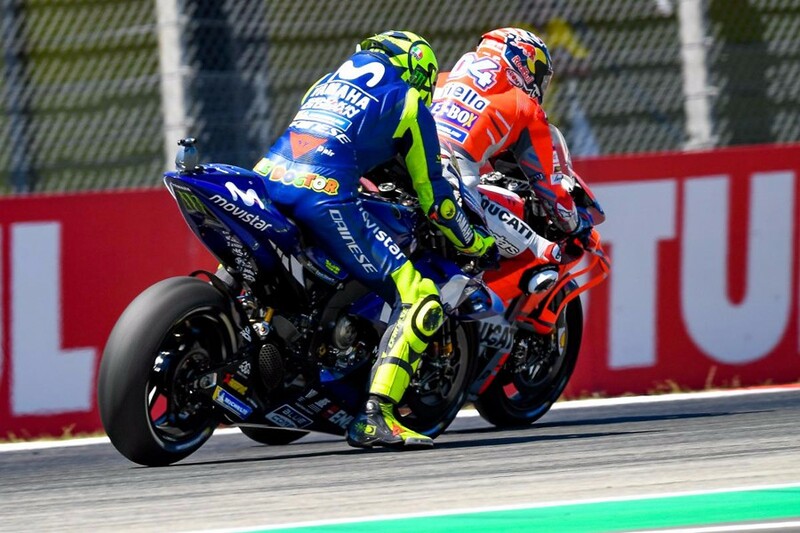 Valentino Rossi moved up to 2nd, but he contacted with Lorenzo's rear end, then he dropped his position, however both riders somehow survived without losing places. 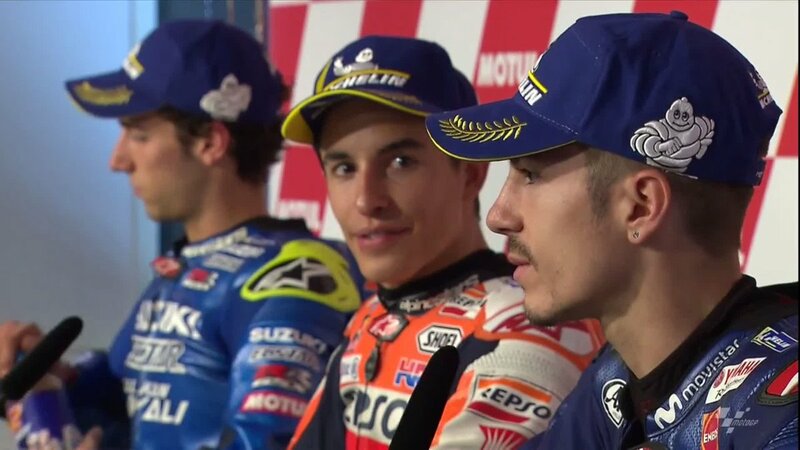 While, Alex Rins and Maverick Vinales joined in battle of the top. 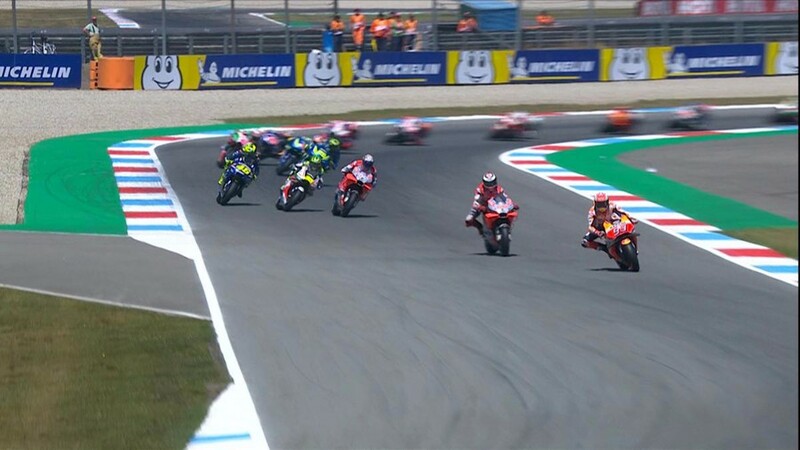 Dovizioso moved up to second and then passed Lorenzo to lead on lap 15, he holding the advantage until a resurgent Vinales passed him four laps later. 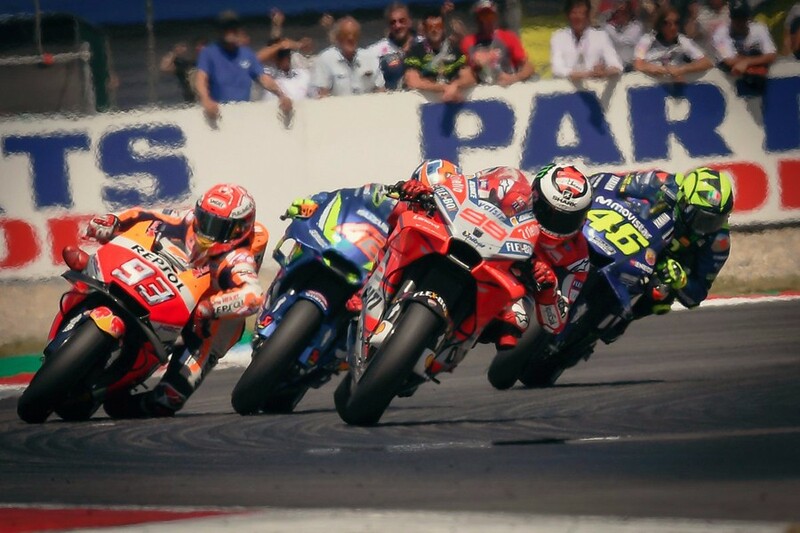 Maverick Vinales, Andrea Dovizioso, Marc Marquez, Alex Rins and Valentino Rossi battled for the top. But Jorge Lorenzo struggled front tyre and dropped to 7th. 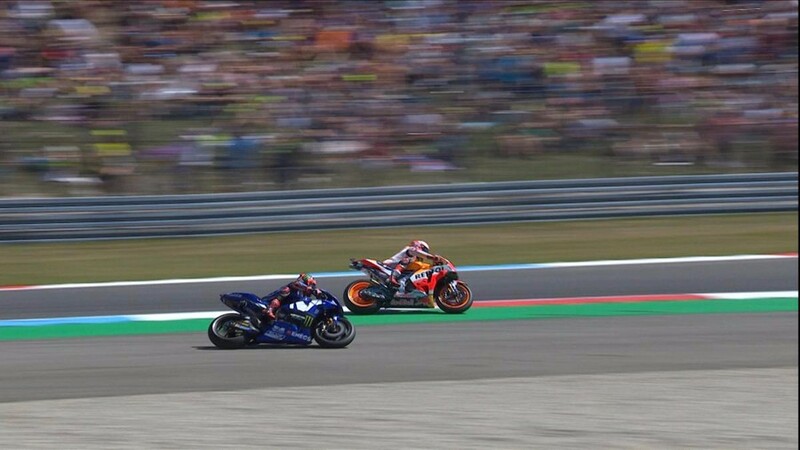 The following lap, Alex Rins took the top when Marquez and Vinales both ran wide at Turn 9, but Marquez moved to the top on lap 22 again and spread margin with other riders. 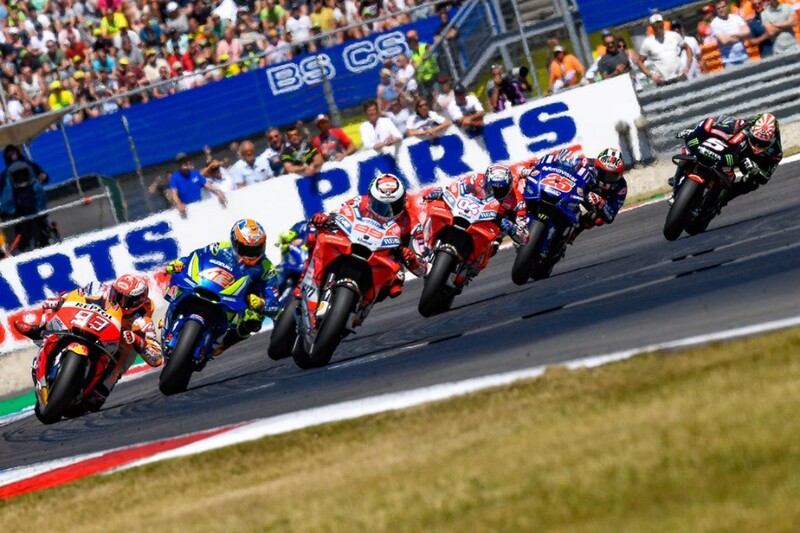 Rins managed to overcome Vinales on the final lap to secure his best-ever MotoGP finish by just 0.039s. 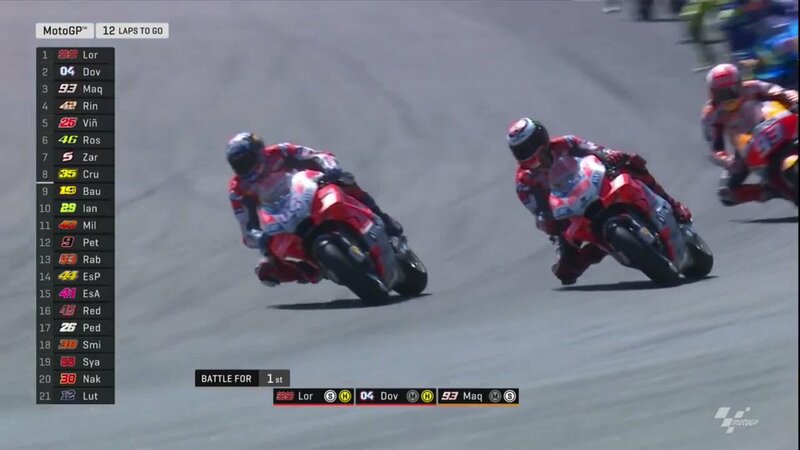 Dovizioso dropped to fourth. Rossi ran wide at Turn 1 on the final lap, dropped to 5th. Cal Crutchlow (LCR Honda) was 6th. “I don’t now how to describe, it was a crazy race. There was a big group and we were fighting against everybody and it was amazing. 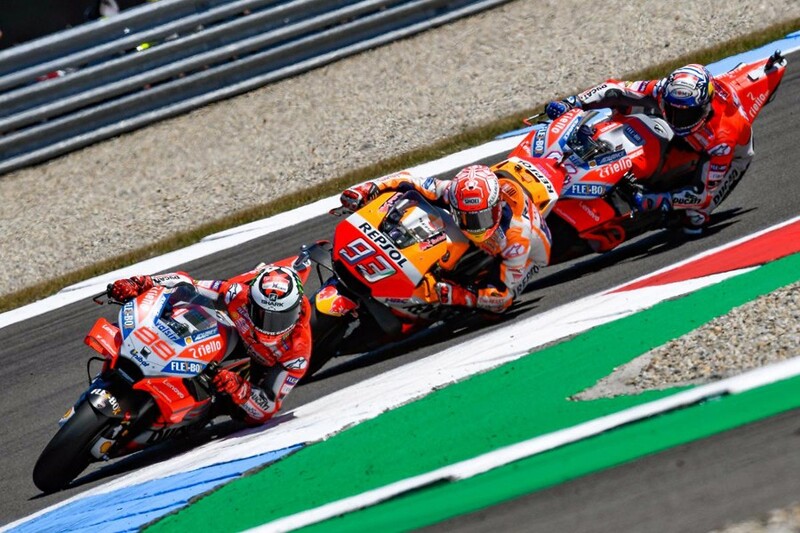 The conditions were very difficult on the race track because the wind was pushing a lot and all the back straight and fast corners, when you were behind somebody it was easier and also difficult to open a gap. 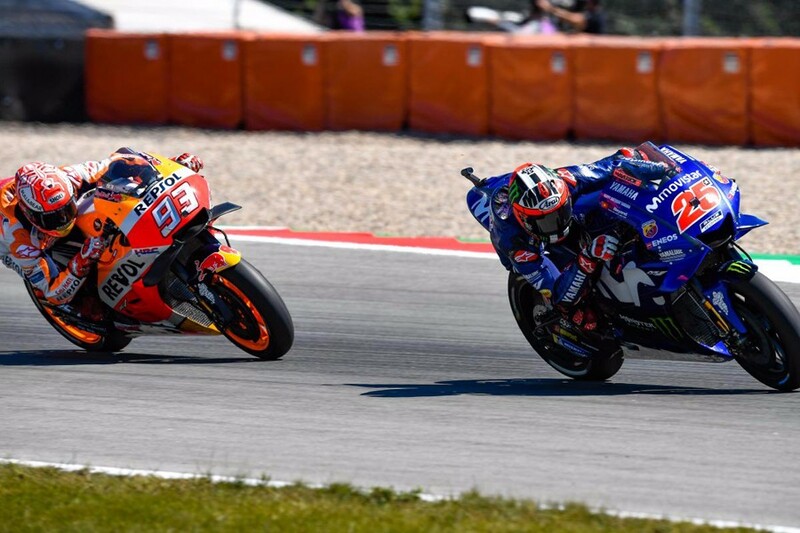 Then, especially (Jorge) Lorenzo was pushing a lot – I tried to overtake him but he overtook me and then I was not able to keep the same rhythm or have the same rhythm like in the practice. 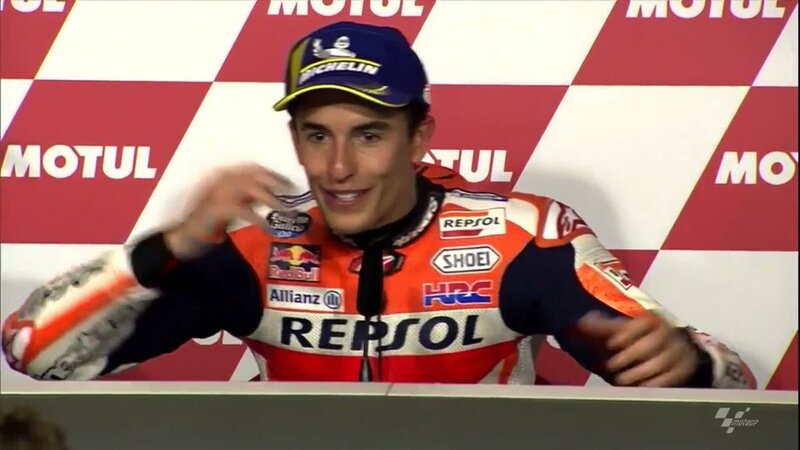 Then I said, OK, we will wait but in the middle of this transition we have many moments, with (Alex) Rins, with Maverick (Vinales) with everybody. We were fighting against everybody and in the end I was clever, I was just waiting and when I see ‘F7’, I said now I will give everything; I will push all what I have and use all of the tyre. I was able to open a gap and then when I see ‘+0.2’, it was good because then I was able to do my lines. 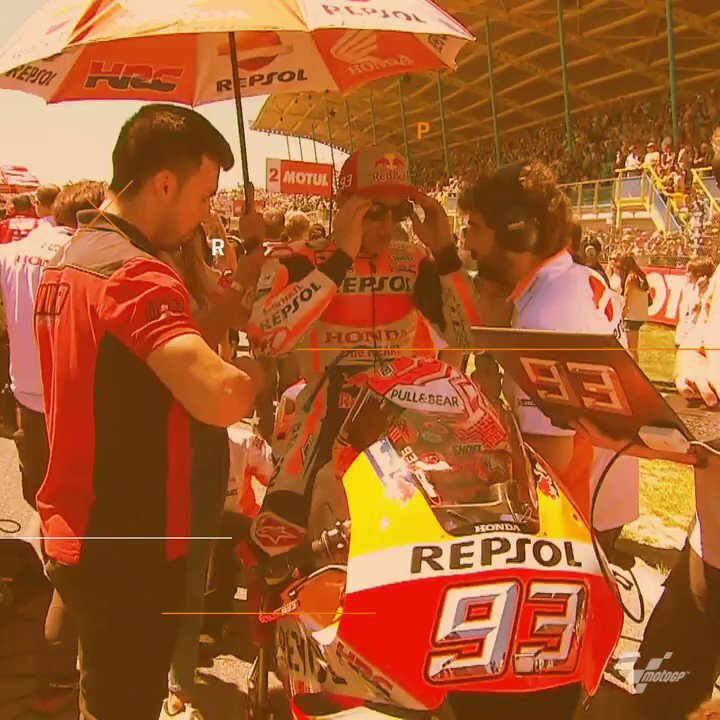 The problem is that here, when you just try to use your lines to be fast, you prepare a lot the corner and then everybody was overtaking you, but when I see a small advantage, I said now is the time to use my lines and then I was able to have the same pace in the practice. 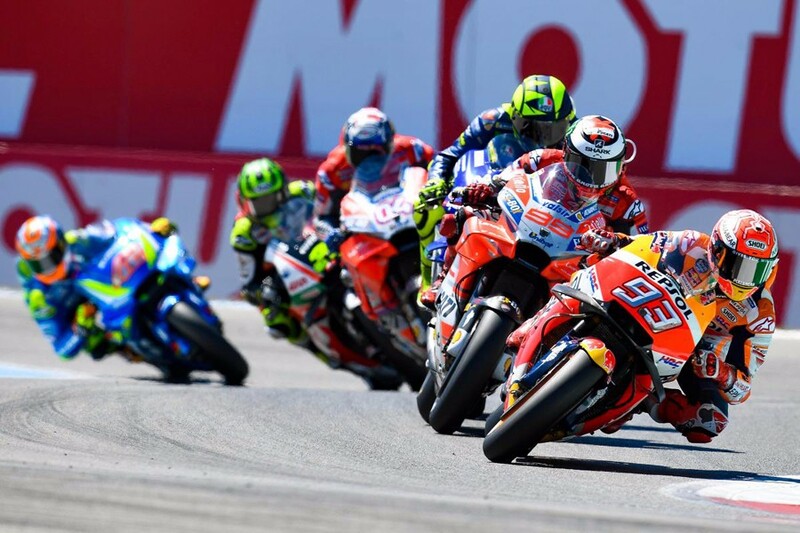 Of course I expect that maybe Valentino (Rossi) and Vinales would be very strong and they were strong, but we were stronger, so this is the most important in a circuit where we normally struggle a little bit. 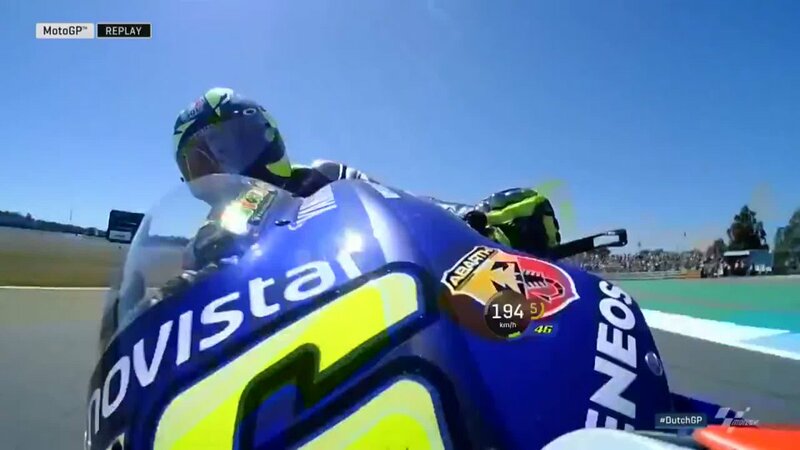 When I cross the finish line the adrenalin was there and then when I checked the bigger screen and see Rins was there, I was even happier because the advantage is even bigger and this is something that we need to take profit of."